Sweet indeed! 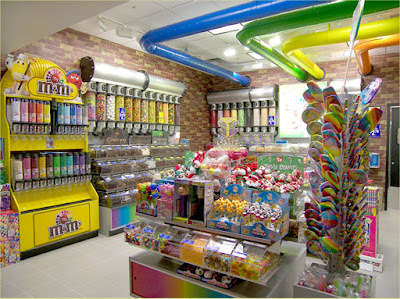 I have never seen such a gummy selection in my life! 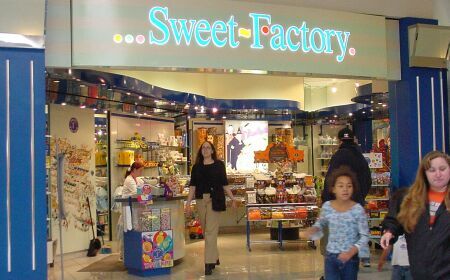 Between gummy candy corns (special for Halloween), gummy penguins, sour gummy hearts (they taste like a better version of Sour Patch Kids), and much more than I can list, this Sweet Factory location has it all in the gummy sense. Not so much in terms of chocolates. They do have a delicious bridge mix with chocolates covering a variety of items (not just nuts), malt balls, white chocolate blocks, and toffee chocolate covered pretzels, but most chocolate items are in the norm. I prefer Sprouts or Powell's for the chocolate selections.